The Company has built a network across the country to be within reach of candidates and Flex workers. Omkar Outsourcing Pvt. 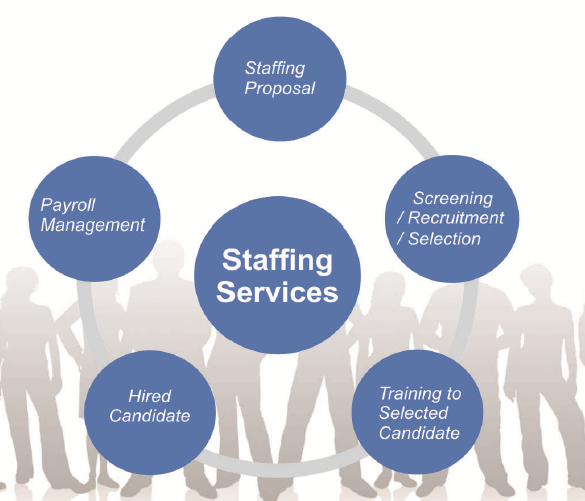 Ltd. has been highly regarded for the expertise and the innovation in the staffing industry. Human Resource is on the top amongst the challenges in these days. It has been our mission to keep up these challenges, define and solve specific staffing needs thereby saving precious time of the companies and allowing them to focus on their core business. Address: Head Office:73/66, B Wing , SNo - 171/A, 171/B Jai Ganesh Vision, Akurdi, Pune-411035.